University students are an increasingly challenging audience to target advertising to online. A powerful, connected force in the digital world, they are more likely to seek out their own information or install an ad-blocker, than they are to react favourably to your You Tube pre-roll or banner advert. As savvy as this millennial demographic are online however, there are still some things they cannot avoid offline - such as waiting for a bus. 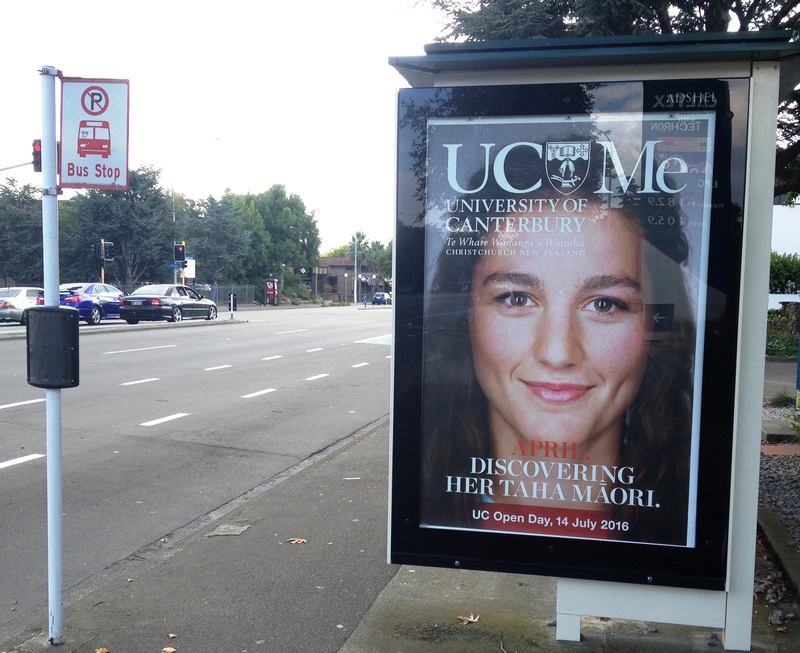 This was beautifully recognised by University of Canterbury in their latest recruitment campaign, plastered on Massey-bound bus stops throughout Palmerston North.